If you have watched the NLCS between the St. Louis Cardinals and New York Mets, you may have noticed that a few of the Mets hitters — specifically power hitters Carlos Delgado, David Wright, and Shawn Green — often hit the ball the other way. While you may expect to see “spray” hitters such as David Eckstein and Paul LoDuca hitting to all fields, you don’t expect to see the big guys hitting to the opposite field. Historically, sluggers have been dead pull hitters, mainly because redirecting a pitch over a wall 300-325 feet away is an easier task when you’re only aiming for one wall, therefore zoning one area (inside, a foot in front of the plate), and getting full leverage of the bat to the baseball. Interestingly, there’s always been a bit of machismo involved — as it takes some muscle to power a baseball 300+ feet — yet, ironically, it takes more strength to hit the ball over the opposite-field fence (or a 400+ foot centerfield wall, for that matter). Today, however, the sluggers such as Delgado, Wright, Ryan Howard, and Albert Pujols are both stronger and smarter than the Dave Kingmans and Harmon Killebrews of yesteryear. The modern hitter recognizes that the advantages of hitting to the opposite field far outweigh the disadvantages. 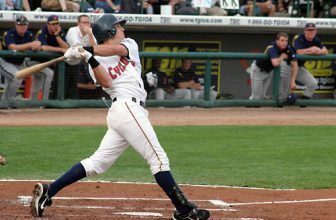 First and foremost, hitting the other way allows you to see the ball much longer — and thus makes you less susceptible to sliders, change-ups, and similar “trick” pitches that break late. Watch Shawn Green in particular, and you will know exactly when he is considering opposite-field hitting by the pitches he takes — they almost always will be sliders dropping in the dirt off the plate for a ball. Green’s big swing and reaction time has slowed down some as he’s aged, so he needs to guess more often to pull the ball for a home run. Therefore, you’ll sometimes see him swing and miss wildly at a breaking ball — that’s when he’s guessing fastball in and looking to jerk it. More and more, though, he’s been waiting on pitches, getting into good hitter’s counts (1-0, 2-0, 2-1) and dropping outside-half strikes into left field for base hits. On the other hand, Carlos Delgado’s bat hasn’t slowed much, but he’s been hitting to left field his entire career. Remarkably, opposing defenses have often employed the “Boudreau Shift”, lining up three infielders to the right of second base. Perhaps their reasoning is that they’d rather see Delgado punch one to left than look to pull one into the rightfield seats. However, Carlos Delgado has the muscle to hit the ball over any fence, in any direction, so the shift only further motivates him to wait longer and decide whether the baseball is in a good hitting zone. He also has much larger holes to aim for. Youngsters would do well to study the approach and swing of David Wright, who is very similar to Derek Jeter in that he tends to frequently “inside-out” pitches. That is, he pushes his hands forward through the hitting zone, but leaves the barrel head back. While this style might rob you of some power, it enables you to wait a little longer, and still get solid wood on almost any pitch. The only pitch that will be difficult to handle is a very hard sinking fastball running in on your hands — but few pitchers throw such a pitch with good velocity and success. 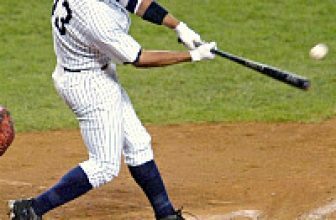 Hitting with an “inside-out” swing, you almost always will be hitting the ball to either center or the opposite field, as a function of the bat angle. While Jeter uses this approach on nearly every swing, Wright most often employs it when he has two strikes against him. This is a good strategy for a power hitter, as the outfield will tend to play him deeper, and the inside-out swing will usually produce less powerfully hit balls that drop in front of the outfielders for hits. I can’t agree with you more. There are three ways to hit an inside fastball, you can pull it, you can take it up the middle, or you can take it the other way all with authority, but there is only one thing you can do with an outside pitch “go the other way”. It is always better to be a little late on an inside pitch then to be a little early on the away pitch. On the other end of the spectrum a young hitter — I’m talking the 6-8 age range — should not be corrected as much if he is a “pull hitter”.A young hitter should learn the feel of fast before he is worked to get his hands inside the ball.